Academics are under increasing pressure to raise the profile of their research, not only through citations, but also by demonstrating public engagement and impact. 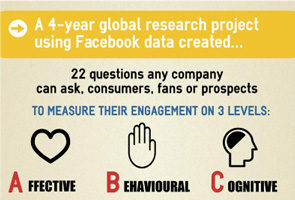 One way of sharing information in an accessible way is to create an infographic. Infographics are “liked” and shared on social media 3 times more than other any other type of content. Laurence Dessart has written a blog post ‘From paper to picture: creating an infographic from your research‘ in which she describes her experience of creating an infographic from her JMM journal article Capturing consumer engagement: duality, dimensionality and measurement (co authored with with Cleopatra Veloutsou & Anna Morgan-Thomas). Click for full size image. Embed code is at the bottom of the blog post. Here are our top 7 tips on how to turn your JMM Journal Article into an Infographic. TITLE: What is the headline? The title needs to (1) get the viewer’s attention and (2) describe what the infographic is about. Keep the title short – less than 70 characters is ideal for a title so it doesn’t get cut off when being displayed by search engine. This is then also easily Tweetable so people can share your content. Make the title accurate – try to include at least one of your key words. PURPOSE: What is the aim? What was the point of the research behind the article? Does the research fill a gap in our knowledge? CONTEXT: Why is the research important? Does it solve a problem? Does it have ‘real- world’ applications? presented. Were there any surprising findings? What conclusions can be drawn? IMPLICATIONS: Do you think your research has policy or managerial implications? Is your research ‘newsworthy’? Think how you’d like your research to be covered in the media. What kind of impact do you want your research to have, e.g. Social, Policy, Managerial, Academic? Think about: What is the story from your research? Who are your audience, who is the infographic for? What are the key words you should be focusing on? FOCUS ON THE BIG IDEA: You don’t need to fit your whole article into one infographic – think of the graphic as an invitation to read more about your research, and simplify your narrative to a few key points. Think about: Hierarchy, what are the key points? Is there a narrative flow? The story does not have to be linear. Doodle! It may take a few attempts to get a structure you are happy with. Emphasise key information with size and prominence in the design. What information can be presented visually? 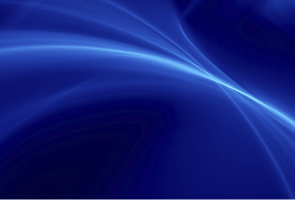 What kind of graphics do you want to use, e.g. charts, icons? Keep these simple, avoid too many variables. If you use images, make sure they clearly communicate your message. If you use an online tool to create your infographic, they may provide stock images. Other sources include e.g. istock, shutterstock. Make sure you have the necessary copyright permission to use images. APPEARANCE: It may help to use a grid structure. Keep images/text blocks aligned, and try to balance your design. Look at the size of the text – if you were looking at the infographic on a mobile device, would it be readable? Don’t use too much text, and keep it legible. Use colour sparingly, use say 3-5 colours. Think about complementary or contrasting colour schemes. Do some colours give signals, e.g. red meaning negative, green meaning positive? Remember there may be cultural differences in colour associations. Keep sitting back from your design – Do the key point(s) stand out? Is the purpose of the infographic clear? How are you going to share your graphic? This will help determine size and shape. Build yourself using online tools, e.g. Or, ask someone to create your infographic for you. Steps 1-4 will help you with commissioning an image. Share on social media, and repost regularly. Stones and Gent (2015) have identified 7 principles they call GRAPHIC, a useful set of evidence based guidelines for creating health infographics. The ylmsportscience site by Yann Le Meur has lots of examples of infographics created from academic sports science articles. If you do create an infographic from your JMM article, please let us know so we can help promote this through our networks. And, if you have any questions about creating an infographic, or blogging about your JMM paper, please don’t hesitate to contact the JMM Editorial Office. Please include attribution to https://www.jmmnews.com/ with this graphic. 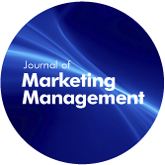 The Journal of Marketing Management (JMM) Editorial Office is based at Westburn Publishers Ltd. From 2010, Routledge, part of the Taylor & Francis Group, publish and distribute JMM. Westburn remains the owner of JMM, and continues to be responsible for the editorial process and policy of the Journal. 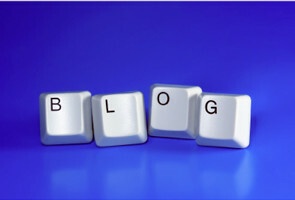 Welcome to the Blog site of the Journal of Marketing Management (JMM), an international peer-reviewed academic journal published by Routledge, Taylor & Francis Group, which prides itself on publishing eclectic, original and thought-provoking research in the sphere of marketing.